Want to see all the technologies used by isimtescil.net? İSİMTESCİL İNTERNET TEKNOLOJİLERİ is an online domain registrar also providing enterprise class hosting services to customers. It features a wide range of domain and hosting services packaged specifically for individual, business, and enterprise clients. Users are able to register domain names with various extensions at the website. The company also caters to the reseller market by providing total virtual server solutions and hosting packages. 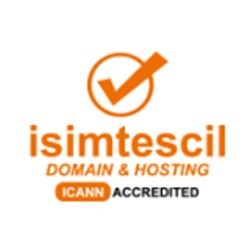 For a quick look at additional technographic info on isimtescil.net or any domain on the web, download our Chrome Extension. Check out our help article to see how Datanyze Insider can help you.